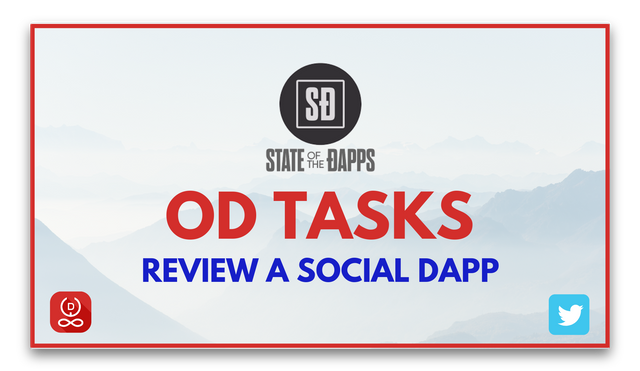 Hello Everyone, we are here with another task for Social Media Enthusiasts in association with State of the Dapps. Please read the UPDATED guidelines and instructions carefully before your participation. Tag your Steem friends who might be interested in doing this one. Review any Social DApp (Other than Steemit.com) from this list on StateoftheDapps. Video or Blog reviews or both are accepted. #StateoftheDapps, #DAppReview, #SocialMedia. Tag @stateofthedapps in all your tweets. 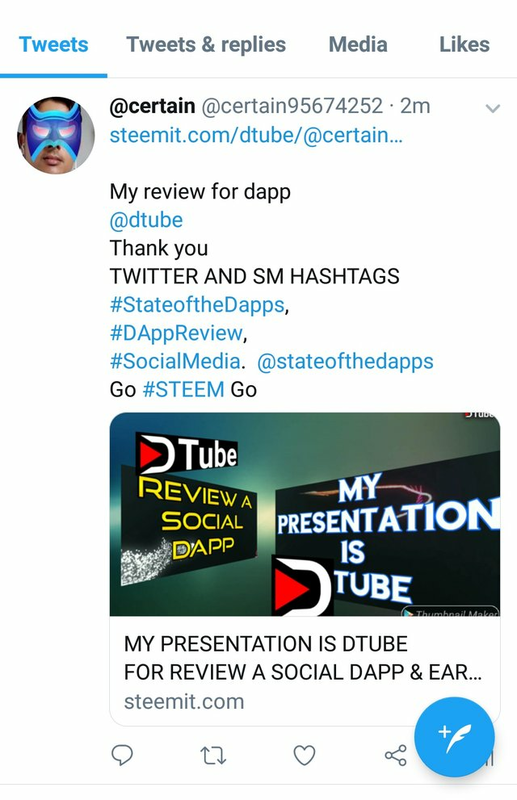 Create one more hashtag on the basis of the name of the DApps you choose to review. For ex: If you are reviewing KARMA then the hashtag would be #Karma. State of the dapps, top social dapps of 2019, Dapp review, Dapps, Blockchain and Cryptocurrency, Social Media, Crypto Social etc. Yeyy! Another review task is up. Let's do this buddies @tfame3865 @camzy @amec @pearlumie @ememovic. @futuremind, @jznsamuel @syedumair, @owner99, @donefezy, @khanza.aulia, and @monajam check this out! Amazing task is waiting for us: @e-arch @emrethewriter @riemanntv @thefuturist @pasaift ! Woah ! This is amazinG ! I'm on it for sure ! And I do posses a question, that is can a video review be eligible to be in this ?? Thanks a Lot for bringin this up ! This article translated @Dapplovers Review a Social DApp & Earn Rewards ft. State Of The DApps! into Japanese. I arranged a little. and tag my some best friend . 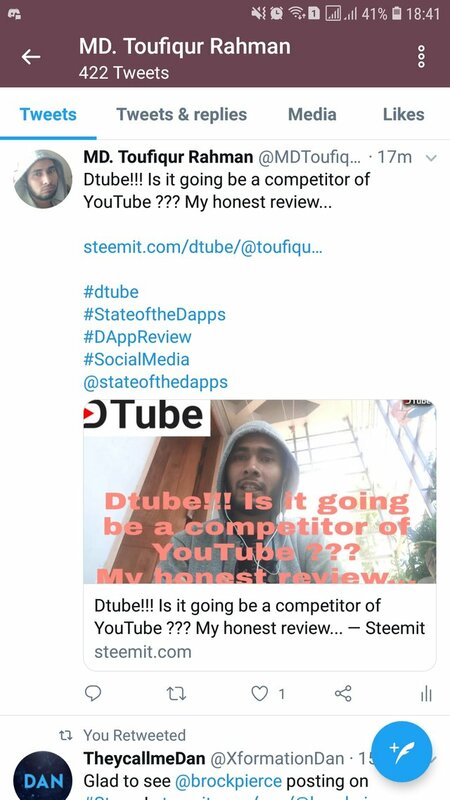 Thanks a lot for mentioning me, I will review @dtube. This is so great. Another dapp review. @afolwalex @ammyluv @clicked @paajohnny @fredkese @afrinsultana let's do this. This is so excellent. Another dapp review. @max1994 @akramkhan @paultarpan @masud91 @mamun123456 @hafizullah let's do this. This is super awesome, another review task is here. I'm sure going to be part of the fun. I have to invite my friends to join immediately; @emma001, @humor0404, @gentleshaid, @jeline, @otemzi, @florae. Another great initiative. Thank you @dapplovers upvote and resteem this post. @oracle-d Team, Yes, this is fantastic another review task. I should need to call up @martin5, @amr008 @adam21 @jack333 @mismi to be a bit of it. I encourage @sumonsha, @purepinag @harbysco @ugela @yandot to do likewise and furthermore get out other 5 companions. Wow another new task. i like to join this new task. This is so extraordinary. Another dapp audit. @mimi121 @perry1 @tail0r10 @purepinag @sumonsha let's do this. Another study errand is up. This is great. Another dapp review. @purepinag @akramkhan @paultarpan @masud91 @mamun123456 @hafizullah let's do this. This is nice CONTEST and lets do this guys. Hello @dapplovers! This is a friendly reminder that a Partiko user has just followed you! Congratulations! Top 5 blogs/vlogs will get full upvote. Rest will get smaller if they follow all the guidelines. Its Great Another review task. ... Just a side note.. We have the letter "Đ" in the croatian alphabet which would mean "Đapps" (as is written on their site) reads exactly as "jap" which is a ethnic slur for Japanese people. Thank you for pointing that out but I have already posted it as a comment in that post you mentioned as well. Hello sir this is my entry link my entry not valid? 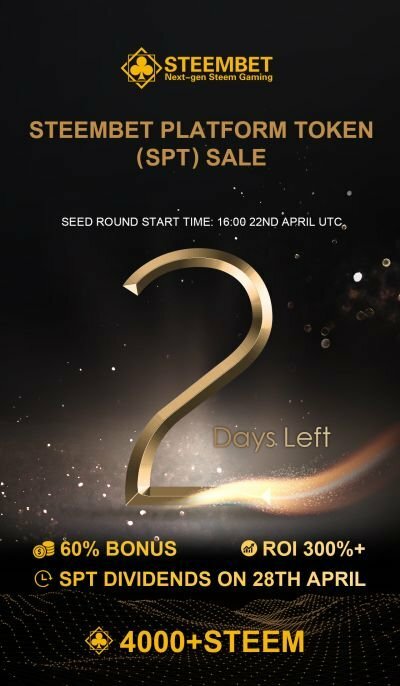 Hope I made on time ....for Steem- Bounty. Review Any Social DApp (Other than Steemit.com) listed here- https://www.stateofthedapps.com/rankings/category/social, and . This is another task for review and get rewards. Let's join this @dyslexicmom @levycore @gethachan @sebelas @alhabi.Another mind-blowing task come in. Upvote and Resteem.